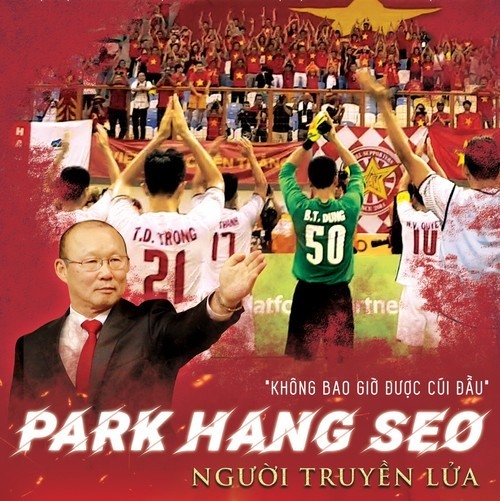 HÀ NỘI — Head coach of Việt Nam’s national football team Park Hang-seo will be featured in a documentary in national cinemas later this month. The film entitled Park Hang Seo - Người truyền lửa (Park Hang-seo - The Inspirer) is co-produced by South Korean KBS Media and SaryeoNi Film. 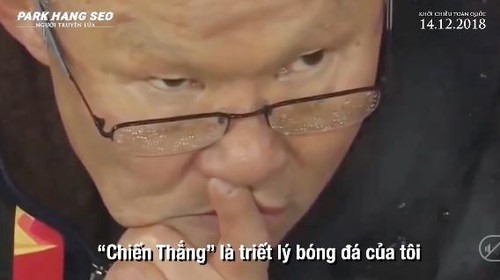 It is a 110-minute story that not only gathers amazing moments of the 59-year-old South Korean coach and the Việt Nam team in their competitions but also reveals untold secrets. It shows Nguyễn Quang Hải’s outstanding free kick to score a goal for Việt Nam against Uzbekistan in the Asian U23 Championship final. It shows players celebrating winning different competitions. It shows the first ever welcome home ceremony for the Asian U23 silver medallists. It shows Park’s famous statements, which are simple but give his team confidence and determination. It is a story about his caring attitude towards his players. Park came to Việt Nam last October on a two-year contract. On the day he signed the deal, he promised to bring Việt Nam’s world ranking into the top 100. With Việt Nam in the semifinals of the AFF Cup, the team is now ranked top in ASEAN and number 100 in the world.